In 2013, EFF and a coalition of hundreds of experts and human rights activists put the finishing touches on the Necessary and Proportionate Principles. These 13 Principles articulate how international human rights law should be applied to government surveillance. National and local activists from Mexico to Egypt have used the Principles to push for stronger protections against digital surveillance. We’ve seen them used in litigation, legislation, administrative work, and advocacy campaigns, as well as debated in both regional and international policy venues. As part of our work to assist lawmakers, activists and judges in creating modern, effective surveillance law that are respectful of human rights, EFF and our partners are working to build a complete legal toolkit around the Principles, starting with a detailed legal backgrounder and analysis, explaining their basis in international human rights law. 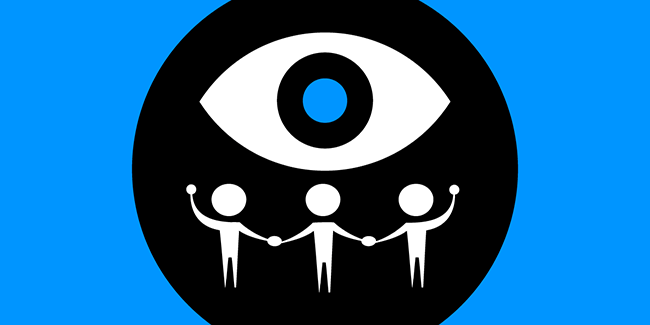 In 2015, EFF collaborated with Latin American groups and individuals to compile local country reports aimed at analyzing state communications surveillance and the protection of fundamental rights in Latin America. The reports explain the concept of communications surveillance, according to the definition set by international human rights standards, and discuss how state surveillance activities are often at odds with certain fundamental rights recognized in constitutions, regulations, and law. The reports analyze local surveillance activities vis-à-vis the 13 Principles, a set of international standards that articulate the duties and obligations of states when engaging in communications surveillance, and provide public policy recommendations as the basis for future law reform. All around the world, people are taking on the surveillance machine -- and winning. EFF has been working in tandem with successful advocates in Colombia, Zimbabwe, Egypt and beyond to identify some of the best strategies for challenging proposals and surveillance practices which erode civil liberties. We have gathered counter-surveillance success stories to share with a global coalition of advocates who are encountering problematic proposals in their own countries. We’re sure that this list of examples will continue to grow. Through our Global Surveillance and Human Rights Project, advocates will learn how to effectively fight overreaching government surveillance proposals around the world. By working together with advocates, lawyers, journalists, bloggers, and security experts on the ground, we built a Surveillance and Human Rights Camp in which we mapped specific problems posed by invasive surveillance infrastructure and devise regional and national solutions, strategies, and tactics. Together, we share knowledge on existing legislative initiatives, international fora, and other venues where we can make an impact, and devise strong legal safeguards, based on a realistic understanding of the technological threats, against government access to people’s communications and data.